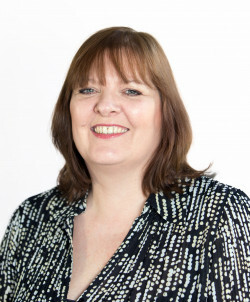 Liz is an Associate within our Conveyancing Team and specialises in all aspects of property related matters including residential conveyancing. Liz also acts for a number of small developers. Liz joined Leathes Prior in 1989 and is known for her pragmatic approach to achieving clients end goals. She has been undertaking property related legal matters since 1985 and qualified as a Legal Executive in New Zealand in 1987. Liz has a strong and loyal client following, many having instructed her several times over the last 25 years. Liz’s main interest outside of work is her family. She is interested in Musical Theatre and is a frequent visitor to London’s West End. She has also spent a number of years as a Licensed Chaperone working with children back stage in Theatres in Norwich, Ipswich and Lowestoft. I just wanted to say thank you for all your work in bringing the purchase to a successful conclusion. Your efforts were much appreciated. Delighted to have found her. We just wanted to write and thank you for your work on this purchase. As always, we were impressed by your efficiency, prompt communication and professionalism - our experiences with you as conveyancer are noticeably different from those of our friends who have gone with other solicitors. We will continue to recommend you and Leathes Prior as a firm to friends and relatives! Thank you! It has again been great working with you. It’s never straightforward with us I feel, so I really do appreciate your prompt response to all our enquiries, and your guidance throughout. Liz Coleman’s service was excellent – above and beyond our expectations. It was a long and arduous journey but it was made easier and much more pleasant by your apparently effortless efficiency and good humour and that was much appreciated. She could not have been more helpful. I’d just like to say how simple and painless you made it, I’d been putting it off for years - had I known I’d have done it sooner! Thanks for all your efforts during recent sale and earlier purchase. We certainly won’t hesitate to use you again and make recommendations to friends/family.